Tommy Bottoms was born in the Central Valley of California and has spent much of his life enjoying the beauty of God’s creation while working in agriculture. He spent much of his childhood in Escalon, California and also has fond memories of time spent in Wyoming and Missouri. As a youth he was very involved in athletics, 4-H, and the FFA organization. He completed his undergraduate education in crop science at Cal Poly, San Luis Obispo and completed his doctorate in Plant Sciences at University of California, Davis. He has a passion for working with farmers to solve production issues that they face, particularly when it relates to improving productivity while lowering input costs. He also enjoys the creative process of identifying and expanding new and existing markets for agricultural products. He first became interested in missions while attending Bidwell Presbyterian Church in Chico, CA. After a summer mission to New Life Children’s Homes, he was able to see how his God-given skills and talents can be used to positively affect the lives of those in need. He and his beautiful wife, Mandi, have been involved in international and youth ministries at their home church of University Covenant Church in Davis. Tommy loves working with kids and being in the fields. He enjoys working with others to solve challenging problems. He enjoys riding bikes, reading and wildlife. He is also an avid fan of the Atlanta Braves baseball team—something that few relate to in Africa. He is fine with that. Mandi was raised the Northern California town of Fortuna. As a high school student, she participated in a variety of short-term mission trips. These trips helped shape her interest in what God was doing around the world. Mandi was also involved in her high school agricultural program, and continued to study agriculture at Cal Poly, San Luis Obispo. At Cal Poly, Mandi earned her B.S. in Agricultural Science, teaching credential, and M.S. in Agriculture. Prior to joining African Leadership Partners, Mandi worked for five years at California Foundation for Agriculture in the Classroom where she used her expertise to write agricultural-themed curriculum and train teachers throughout the nation. She also worked for the California 4-H Youth Development Program, where she worked with UC academics to write curriculum and research the effectiveness of youth development programs. 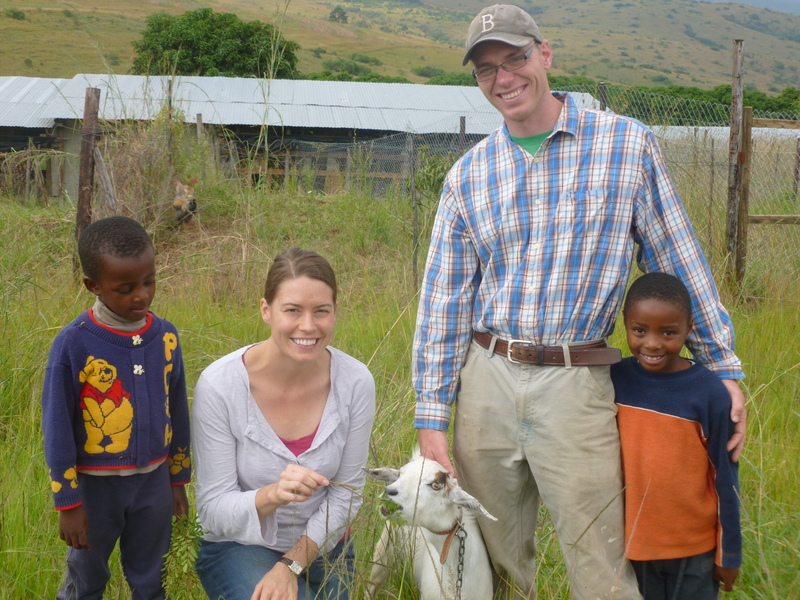 Since arriving in Swaziland in January 2013, Mandi has loved going to work every day. She is a third and fourth grade teacher at New Life Primary School—where she especially enjoys teaching children about science and agriculture. She and Tommy also serve as mentors to the children at New Life Homes. They organize recreational activities and often teach at weekly prayer gatherings. In her free time she enjoys reading, cultivating plants, and trying new recipes.